TIBCO is proud to announce that TIBCO Cloud Integration has earned a Top Rated Award from TrustRadius. 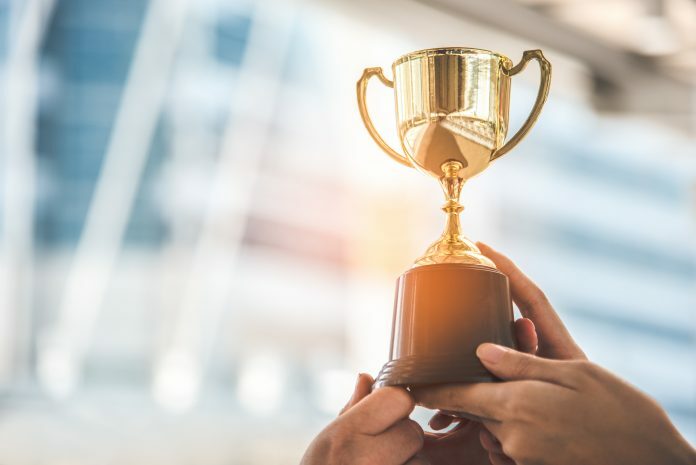 TIBCO Cloud Integration received the prestigious award in the Integration Platform category because it consistently receives high praise by customers on the software peer review site. 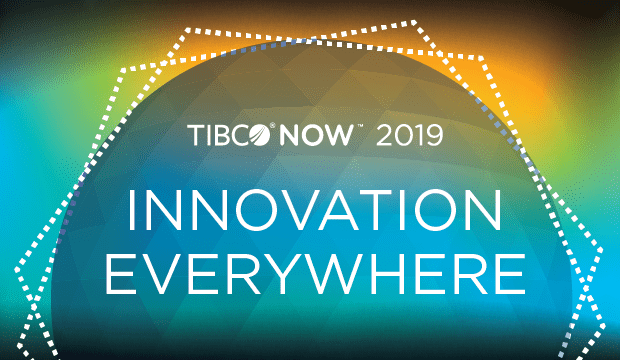 In January, TIBCO Cloud Integration was recognized by top analyst firm Forrester, having been named a leader in the Forrester Wave™: Strategic iPaaS and Hybrid Integration Platforms, Q1 2019. It is an honor to know that our customers feel the same way as evidenced by a recent TrustRadius’ Top Rated Award for the integration platform. For more on what customers have to say about TIBCO Cloud Integration, or if you’d like to share feedback based on your own experience with TIBCO solutions, visit our TrustRadius product review page. To see what TIBCO Cloud Integration can do for your organization, request a free trial today. Dynamics 365 for Customer Engagement (D365 CE) provides many tools to report on your data. Dynamics 365 CE enables your team to easily manage their work from marketing leads to sales opportunities to customer service cases and all the activities in between. In addition to providing tons of ways to automate, coordinate and monitor these business processes, the software also has a lot of great options for data reporting and visualizations (like charts). In this blog, we will explore the various ways to collect and show Dynamics 365 CE data from views to charts to PowerBI reports. Find out the best approach to reporting based on your needs. A view is the easiest to use and, in many ways, most powerful reporting tool within Dynamics 365 customer engagement. Custom views allow you to display the fields you want from a defined subset of your data through a powerful builder called Advanced Find. Advanced Find enables complex queries of any field on a record and its related records too. For example, you can display a list of accounts with recent won opportunities of over $ 150,000 in revenue. On that view, you can display their location and account manager for a nice list of field locations to visit. If you want to further format, summarize and distribute information from your view for a highly custom look, Excel export is only a few clicks away. While a view is an excellent way to find and report on data, it lacks the beauty and summarizing power of a chart. A chart allows you to visualize your data as bar, column, pie, funnel, line, and area graphs by counting or aggregating your data. One of the great features of the chart is it allows the end user to interact with the chart to filter the data in their view and drilldown layer by layer into the underlying data. It is great for this kind of data exploration. For example, a chart summarizing expected revenue per month allows you to drill into a specific month to chart expected revenue by sales rep. Not only can you see the expected revenue, but also identify the sales rep responsible for closing the deal as well. Excel is a popular application used within organizations for reporting on their data. With its powerful formulas, useful PivotTables, flexible graphs, Excel is a go-to reporting tool. Excel Templates allow you to create Excel files based on Dynamics 365 CE, like the Excel export described earlier, but takes it one step further. You can use the formulas of Excel in an Excel Template to perform complex calculations and summarizations of your data and use PivotTables and charts to display your data in an easy to read fashion. This functionality acts as a template which means you can use the same Excel file to report on data from any of your views. For example, an organization can create an Excel Template to export their weekly sales pipeline of opportunities including formulas for forecasting, breakdowns of specific data through PivotTables and filtering, and graphical representations. All of the reporting capabilities discussed thus far serve us well but each one comes with data retrieving, summarizing and formatting limitations, which may prevent you from getting the precise analysis needed. A Dynamics 365 CE report has the potential to overcome those limitations. Dynamics 365 CE offers end users a reporting wizard to create basic reports. This wizard offers similar functionality to a view but also includes grouping and charts, but, again, in a limited fashion. The real powerhouse of reports is a custom report. Custom reports are written in SQL Server Reporting Services (SSRS) outside of Dynamics 365 CE but are run in D365 CE by the end user. Scripting the desired SSRS report requires a special skillset but provides a broad range of capabilities of the generated report. Dynamics 365 SSRS reports allow you to report on multiple record types at the same time, calculate data in a complex way, visualize data through charts, and format the output with various colors, fonts, and tables. You can even include your logo. For example, an SSRS report will allow you to report opportunities and quotes at the same time and even include the product details. If your reporting needs include reporting across multiple record types, then a Dynamics 365 SSRS report might be your best approach. Another powerhouse in the reporting world and the last topic on our list is PowerBI. PowerBI is a tool from Microsoft that provides business intelligence capabilities and a really nice integration to Dynamics 365. Like the SSRS report, PowerBI allows you to filter, compute, and visualize data. While your data in a custom report is fairly static, your data in PowerBI is quite dynamic and provides the end user with the ability to adjust the fields and filters of the source data and immediately see the results. PowerBI can also combine Dynamics 365 CE information along with other data sources in one report. Best of all, PowerBI dashboards can be embedded into Dynamics 365 CE directly. For steps on connecting your Dynamics 365 environment to PowerBI, check out this blog. 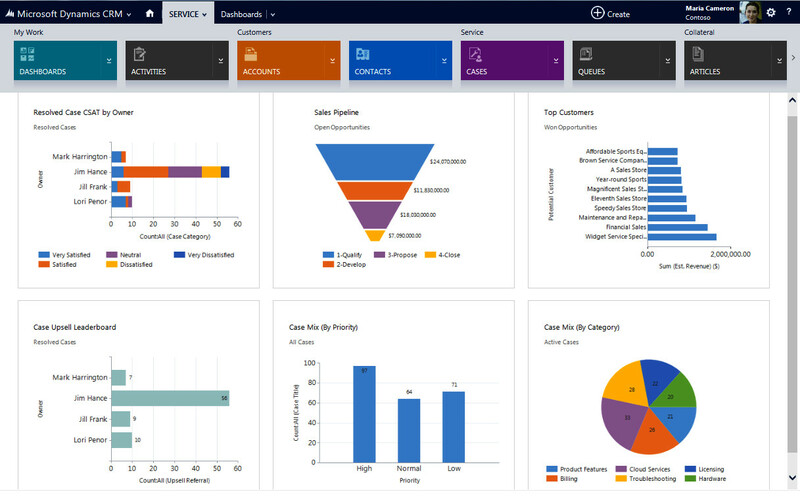 If you have any questions regarding the reporting capabilities of Dynamics365 CE, reach out to a Dynamics 365 Customer Engagement Consultant today. However, while the adopter of these solutions has good intentions and hopes to drive individual sales while increasing the team’s productivity, that is not always the outcome. Specifically, many sellers often are overwhelmed and lack trust in such tools, due to little training and an obscured view into each tool’s benefits. Even a tool as vital as CRM is not adopted by all sellers. Although almost all the participants in a recent CSO Insights study said they had a CRM system in place, 32 percent of them admitted that their systems were less than three-quarters adopted. What does this mean? Even though sellers have been adopting tools to maximize results and productivity, because of vague insight into each tool’s benefits, overall adoption has decreased. Think about the amount of information a seller must log after each sales interaction. When sellers don’t have to manually insert that information, it not only impacts the relationships between the seller and buyer, but also impacts the sales team at large, fostering learning and growing from others. Ironically, I think optimal adoption of CRM requires assistance from another tool, a sales enablement solution. When it is integrated with CRM, sellers are more efficient, productive and successful. It’s an ongoing battle for marketing teams to enforce the sales team to use marketing collateral. When sales enablement solutions and CRM are integrated, however, it creates one source of content and data for sellers. One source of information makes it easier for sellers to have prospect details at their fingertips. Further, they can prepare, present, and follow up on meetings via a single platform. With data from a sales enablement solution and CRM combined into one platform, sales and marketing leaders can more accurately evaluate the content that is used most frequently, the content that most often drives sales, and more. These evaluations can drive both departments’ strategies, in order to create the best content for prospects based on industry, buyer persona, and opportunity stage to continuously replicate and scale successful sales cycles. Most sales conversations do not happen in an office setting. Rather, B2B sellers, especially channel partners, are on the go when selling products and solutions. If a sales enablement application is unable to provide the quality experience that buyers crave across channels, then you already are limiting your seller’s flexibility with buyers. This could cause a decrease in adoption and engagement on the part of both sellers and buyers. In addition to providing compatibility across channels, a sales enablement solution should provide sellers with the quality content that they need at the right time. This means it should have features like quality content recommendations, for example — that is, the ability to tag and index content for improved search and recommendations relevant to unique selling interactions. 70 percent of the way through the decision-making process before ever connecting with a sales representative. I mentioned several times that buyers are well equipped and have access to many tools. To avoid causing buyers to feel overwhelmed by the number of tools at their disposal, find a sales enablement solution that provides integrations that meet your sellers’ particular needs. Automation in sales enablement solutions can save sellers from continually spending too much time on administrative tasks by capturing each activity performed in the sales cycle — from meetings scheduled to emails sent. Armed with an integration between CRM and a sales enablement platform, sellers will feel empowered to hold value-driven conversations, increasing the number of deals and overall ROI. Mediafly. In that role, he works to expand business relationships through strategic alliances. With more than 25 years of experience in various enterprise SaaS sales positions, Kavadas understands the challenges that sales professionals face each day. He has led sales organizations to deliver business value on an international scale. Electronic health records store valuable information about hospital patients, but they’re often sparse and unstructured, making them difficult for potentially labor- and time-saving AI systems to parse. Fortunately, researchers at New York University and Princeton have developed a framework that evaluates clinical notes (i.e., descriptions of symptoms, reasons for diagnoses, and radiology results) and autonomously assigns a risk score indicating whether patients will be readmitted within 30 days. They claim that the code and model parameters, which are publicly available on Github, handily outperform baselines. As the researchers point out in a preprint paper on Arxiv.org (“ClinicalBERT: Modeling Clinical Notes and Predicting Hospital Readmission”), clinical notes use abbreviations and jargon, and they’re often lengthy, which poses an AI system design challenge. To overcome it, they used a natural language processing method — Google’s bidirectional encoder representations from transformers, or BERT — that captures interactions between distant words in sentences by incorporating global, long-range information. Each clinical note is represented as a collection of tokens, or subword units extracted from text in a preprocessing step. From multiple sequences of these, ClinicalBERT identifies which tokens are associated with which sequence. It also learns the position of tokens from variables corresponding to the sequences, and inserts a special token used in classification tasks in front of every sequence. To train ClinicalBERT, the team sourced a corpus of clinical notes and masked 15 percent of the input tokens, forcing the model to predict the concealed tokens and whether any two given two sentences were in consecutive order. Then, drawing on the Multiparameter Intelligent Monitoring in Intensive Care (MIMIC-III), an electronic health records data set comprising over two million notes from 58,976 hospital admissions of 38,597 patients, the researchers fine-tuned the system for clinical forecasting tasks. Tested on a sample set consisting of 30 pairs of medical terms designed to assess medical term similarity, they report that ClinicalBERT achieved a high correlation score, indicating that its tokens captured similarity between medical concepts terms. Heart-related concepts like myocardial infarction, atrial fibrillation, and myocardium were close together, they say, and renal failure and kidney failure were also close. In a separate experiment involving 48 or 72 hours of concatenated notes from 34,560 patients in the MIMIC-III corpus, the team claims that ClinicalBERT showed improved 30-day readmission prediction over models that focus solely on discharge summaries, yielding a 15 percent relative increase on recall. Moreover, they say that as the length of admissions and access to clinical notes increased, the system began to outperform the original BERT model in language modeling tasks. NetSuite’s Ranga Bodla recently sat down with Jeffrey Gradek, President of Filter Services, a leading distributor and servicer of commercial and industrial filtration products, to discuss the company’s decision to move off Macola to a true cloud ERP system. Filter Services went through a rigorous analysis and evaluation of solutions from Prophet21, Microsoft Dynamics, IBS and NetSuite, and ultimately chose to go with NetSuite. Below are highlights from the conversation. Ranga Bodla: What motivated Filter Services to look for a new system? Jeff Gradek: We had the nightmare situation of coming to work on a Monday morning to find out that our file server was corrupted. This had happened before but this time, all the files, including backups, were corrupted; the company was gone. We wanted to be a successful filter company, not an unsuccessful technology company. Bodla: Why did Filter Services decide on a cloud-based system? Gradek: Initially, I investigated both on premise and cloud systems. The decision to go cloud was two-fold. I decided that I didn’t want to have a file server on premise that would take my sights off what we’re good at: filters. Beyond that, catering to a changing workforce was essential. Today’s workforce wants to work with cloud, and the cloud and its browser environment are more in line with the skillset people already have. Bodla: Besides cloud, what were your other evaluation criteria? Gradek: Macola’s system was clunky and relatively slow. The environment wasn’t intuitive, and it was hard to train people on. Our new system needed to be user friendly, easy to navigate and easy to learn. The system needed to be fast and agile, and able to address both sides of our business. A lot of vendors had separate services and distribution solutions, unable to accommodate both in one platform. We needed our services and distribution businesses on the same system. Finally, I knew that selecting a CRM would be a project of mine soon. NetSuite’s CRM being part of the platform was a huge selling point for me. Bodla: What kinds of process improvements have you seen since running on NetSuite? Gradek: The effects on our financial statement and cash flow were immediate. Financial statements are constantly up-to-date, and we can now close a month within just a few days. Having accurate, real-time data allows me to better budget and plan for the future. But what’s most exciting? We’re expanding and opening a new office in Indianapolis. The ability to have employees in other offices see the same dashboards as headquarters, and being able to manage them from a distance, is a game changer. Bodla: Do you have any advice for current Macola, or other legacy system customers looking to make a switch? Gradek: Choose the company that is going to put you in the best place to win 10 years from now. I wanted to partner with a company who’s investing in their technology, who’s growing, who’s listening to the market, who’s forward thinking and who’s going to have the best product for the next 10 years. That’s a large reason I chose NetSuite. If I were to choose a platform again today, my experience would dictate that NetSuite is still the right company to help us see success for the next 10 years. Download the webinar for more insight into accelerating growth with a true cloud ERP. Deadline has confirmed with well-placed sources that Smollett’s scenes in episodes of the Lee Daniels and Danny Strong co-created series are being slashed for production on Empire this week. Black Panther Director Ryan Coogler Producing New Movie 'Jesus Was My Homeboy'!